Looking for a place to store a luggage in Venice? 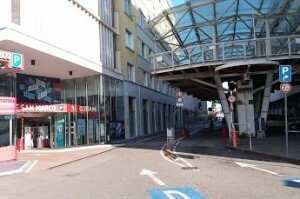 Use services of our luggage storage, located next to Piazzale Roma and 350 meters from the station of Santa Lucia. Our “Angel” is open from 8 am to 9 pm, at the shop you will be warmly greeted by friendly and attentive staff. The luggage storage is situated in the district of Santa Croce: you will find us in Piazzale Roma, 5 minutes away from the station of Santa Lucia. The neighbourhood of Santa Croce is a place of some picturesque canals and corners, besides, due to its position, it serves as an essential crossroad for travelers.